Whatever season you find yourself in the Philippines, there is always a tropical destination waiting for you, world's all-time favorite island - Boracay. Here, summer never ends. Whether it’s riding the banana boat, sailing the paraw, cliff diving or conquering new heights, you’re sure to find something to your heart’s desire. Speaking of desire, you’ll want nothing less than the luxury beachfront resort nestled along the famed Station 1 strip - Astoria Boracay. Apart from the trendy and modern rooms, facilities and open spaces, the real asset is Astoria Boracay’s exceptionally warm service, that makes for the most relaxingly private stay on the island. Boasting of striking architecture and fun interiors, head over to Current by Astoria in Station 3, which promises a more vibrant side of the island’s shores. A tropical getaway is never without amazing food. So whether it’s at Parasol or White Café, Astoria’s restaurants guarantee a pleasing and complete dining experience of delectable meals and island treats featuring big international dishes - Western, Asian, and Filipino cuisine. "On each buffet, we make sure that the dishes are very selective, that guests will love it," said Corporate Head Chef Cris Castro. A tropical getaway is nothing without some beach-side relaxation, may it be at the pretty Puka beach or the famed strip. Indulge in the pure white sands from dusk till dawn, because why not? 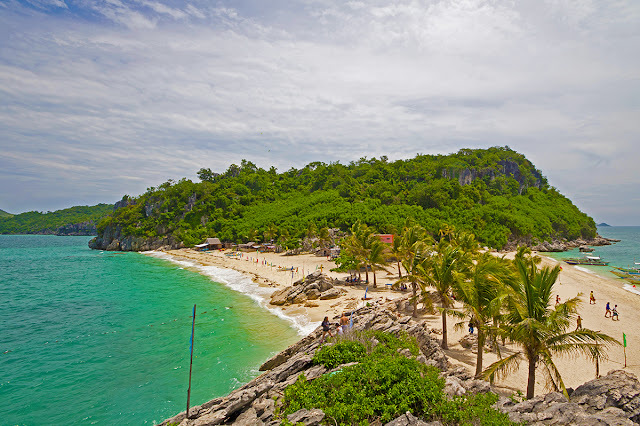 Surely one will never run out of things to do, sights to see, and adventures to find in the island of Boracay.